※ Ethereum address registration is required in the procedure. Other cryptocurrency wallet addresses such as MetaMask and MyEtherWallet can be used. 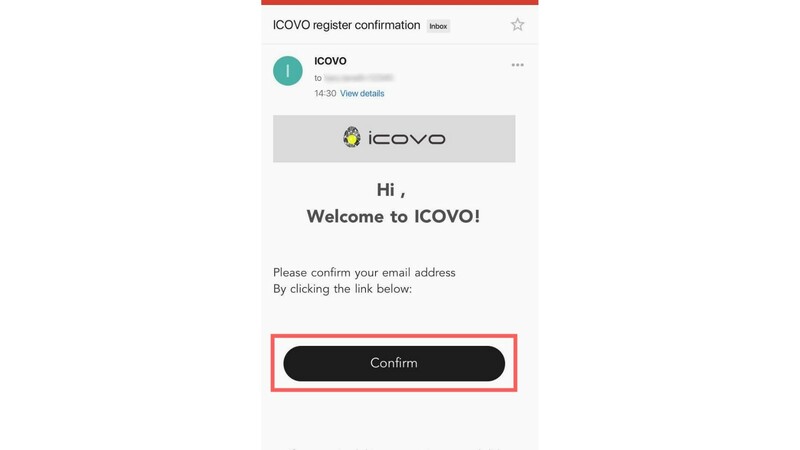 However, ICOVO App is highly recommended for simple registration, easy ETH transfers and quick OVO confirmation on App. To understand the main flow better, we explain in 3-step procedure using figures beginning from the next page. 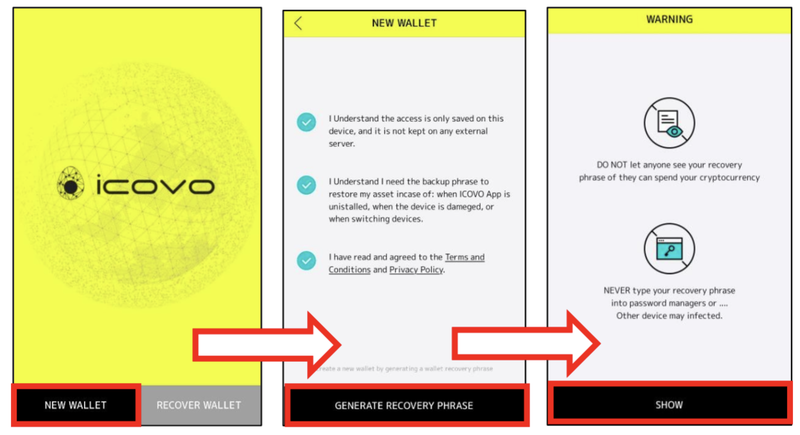 Before going on to the procedure which starts with user registration, let us simply explain the basic steps after downloading ICOVO App. 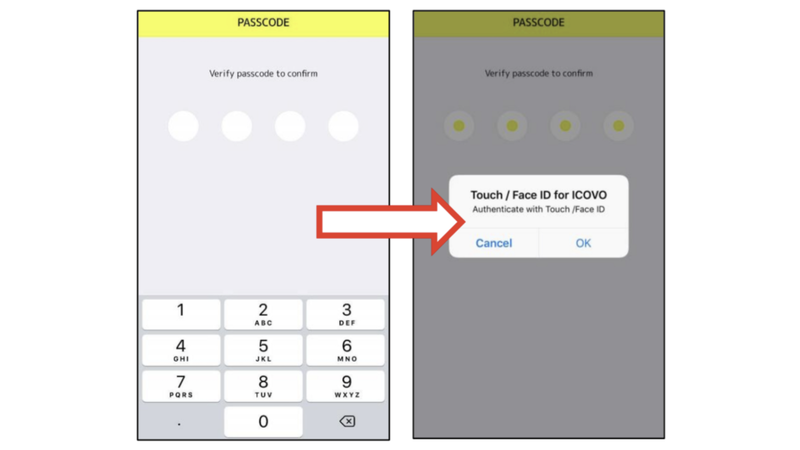 Basic Steps After Downloading ICOVO App, Before user registration. 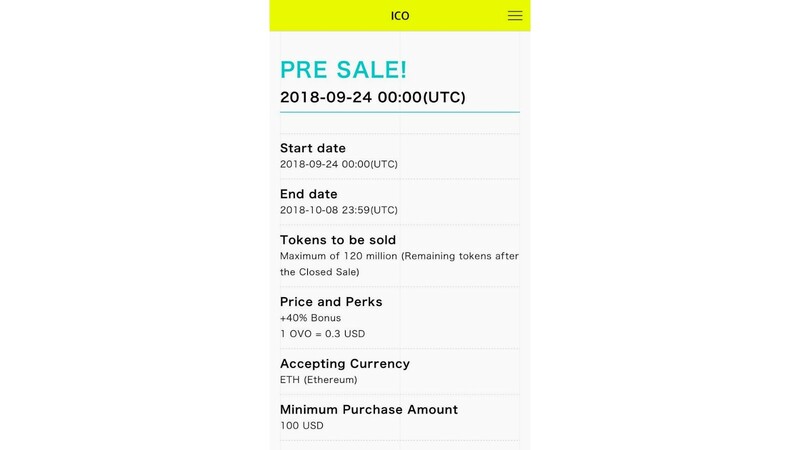 Click here to download ICOVO App(iOS) . 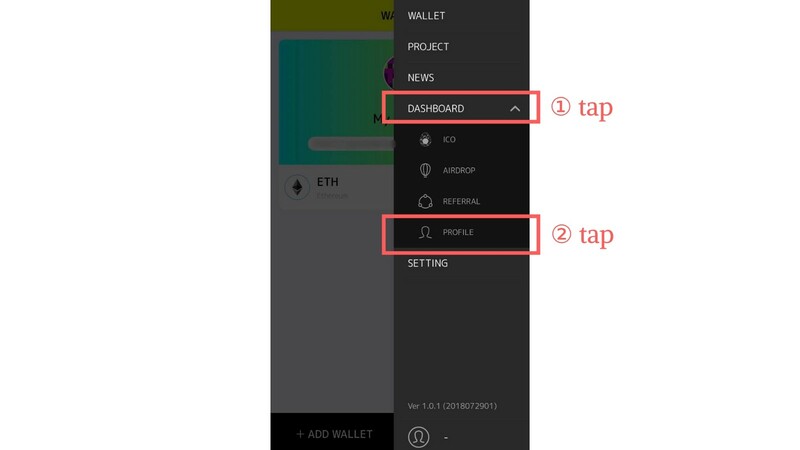 After downloading, tap “NEW WALLET’’ and proceed by tapping buttons as instructed. ※We recommend you to hand-write and keep the phrases for those who are setting their photos to be automatically uploaded to Cloud or sharing photos with others. Skip tapping “SAVE SCREENSHOT’’ and proceed by tapping “NEXT’’. Next, Set up 4 digits password. 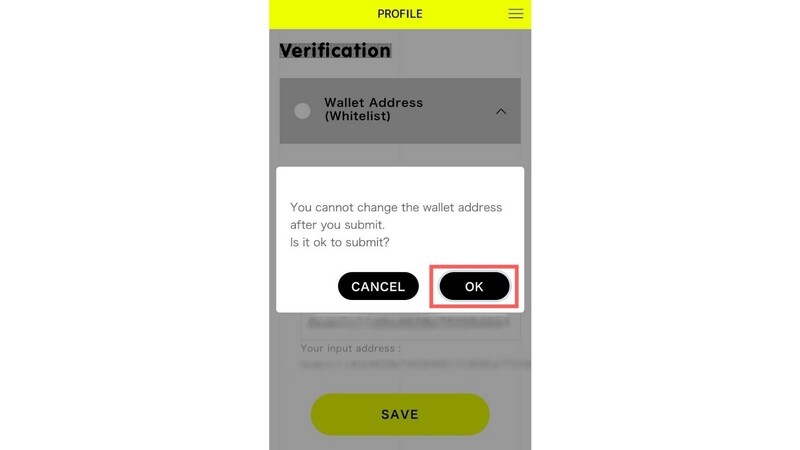 Next, you will see ICOVO App “WALLET” screen. Fill out your personal information according to each blank and tap “SIGN UP’’. Passwords should be set at least 8 characters. Confirmation email will be sent to your registered email address. Click “Confirm’’ on the confirmation email. After clicked “Confirm”, below page will be shown. On the “PROFILE’’ screen, select “Wallet address(Whitelist)’’ and key in Wallet Address. 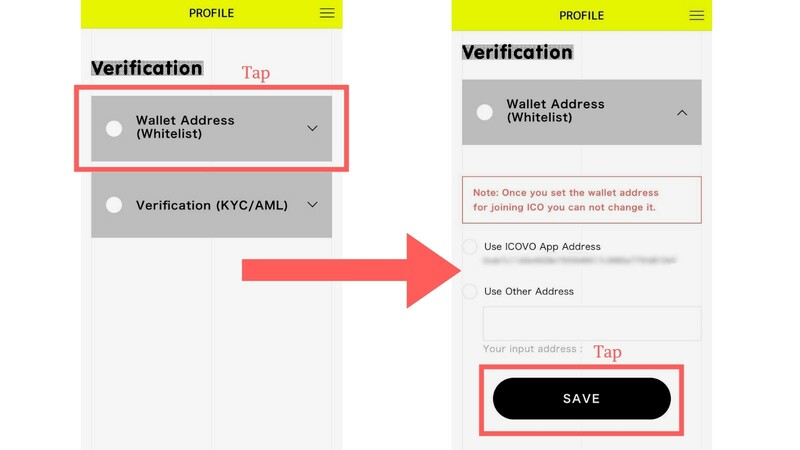 If you select “Use ICOVO App Address” , tap “SAVE’’ to proceed. ※you will automatically find your address in “Wallet Address(Whitelist)’’. 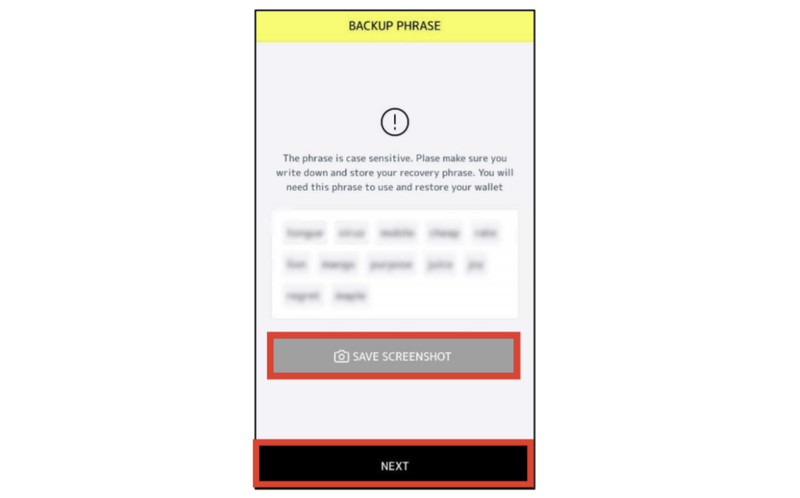 If you are using another cryptocurrency wallet, copy & paste your Wallet Address and tap “SAVE’’ to proceed. Once you set the wallet address for joining ICO you can not change it. 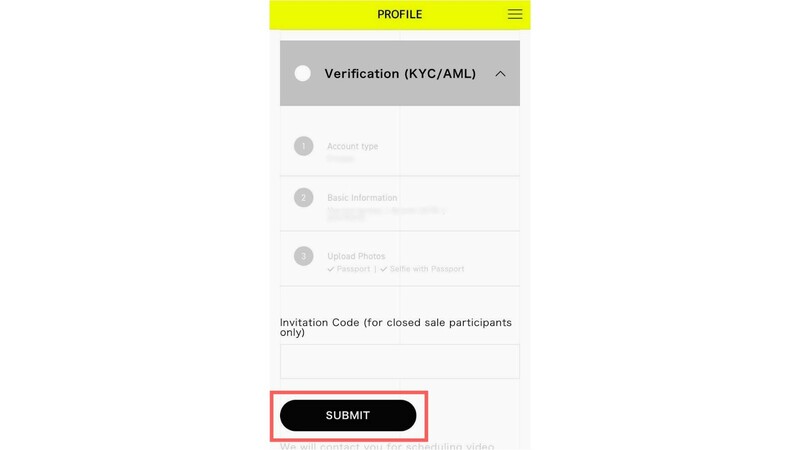 ICOVO App is highly recommended for simple registration, easy ETH transfers and quick OVO confirmation on App. 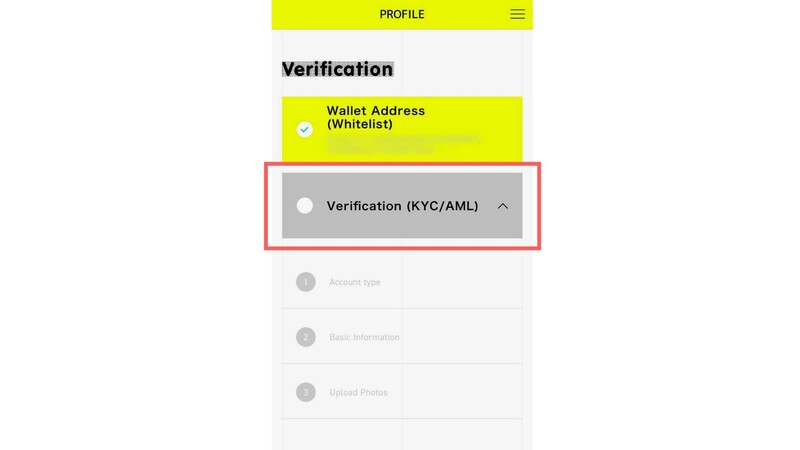 ※Wallet address (whitelist) registration is required before registering Verification（KYC/AML）Be aware that registered information is unalterable. 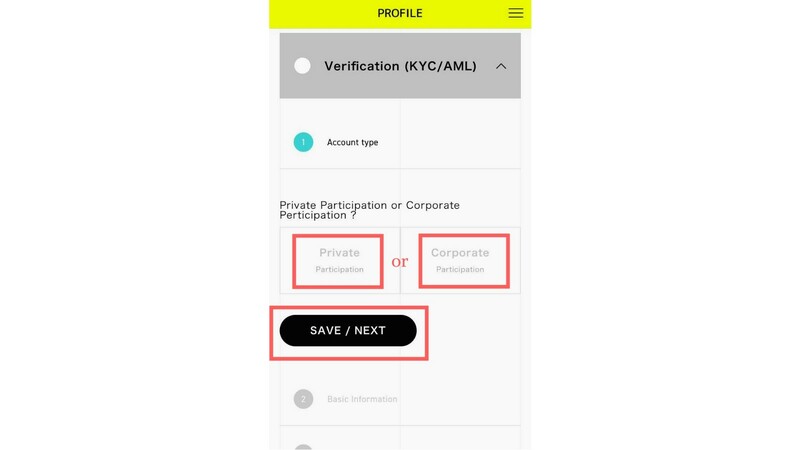 For Verification（KYC/AML）registration, select/key in according to below categories. Select “Private’’ or “Corporate’’ and tap “SAVE/NEXT” to proceed. 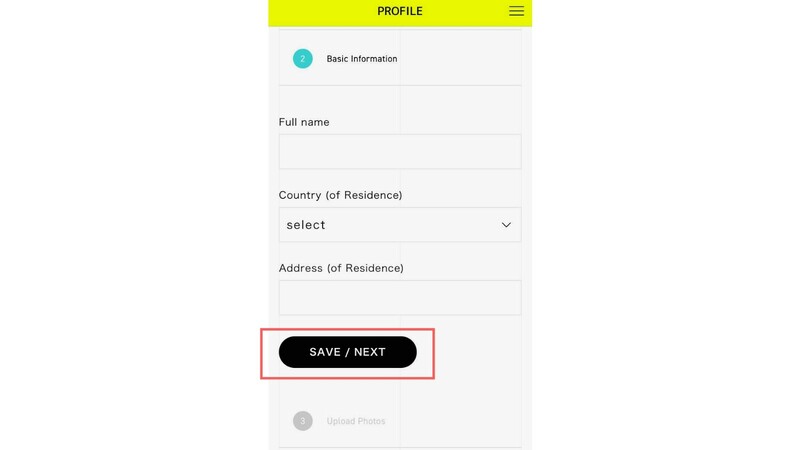 Key in your personal and basic information according to each category and tap “SAVE/NEXT’’ to proceed. Upload your photographed image and tap “SAVE/NEXT’’ to proceed. 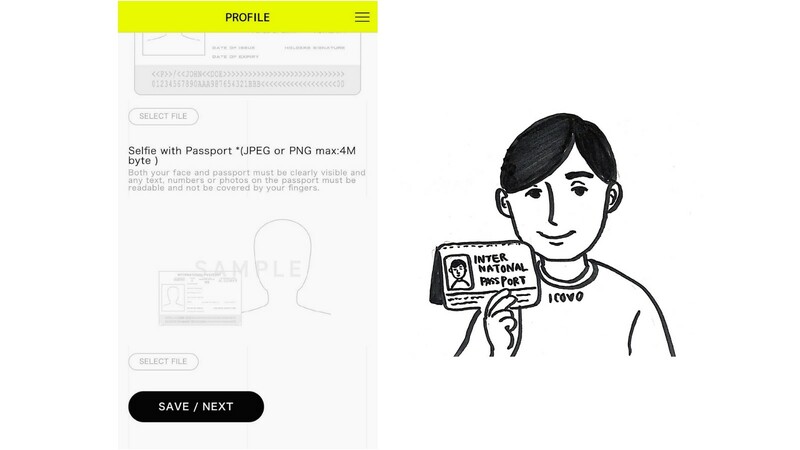 ※Take a picture without covering the text, numbers and photo on the passport page with your fingers. 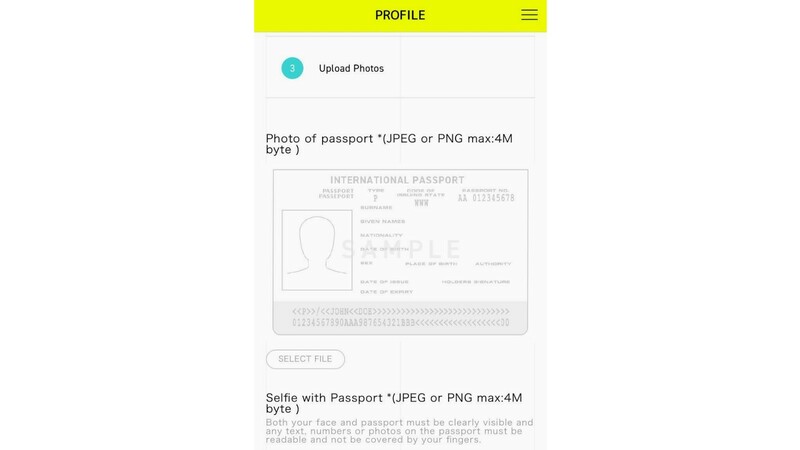 Photo of passport:Take a picture of your passport photo page and upload it. Selfie with Passport:Both your face and passport must be clearly visible and any text. 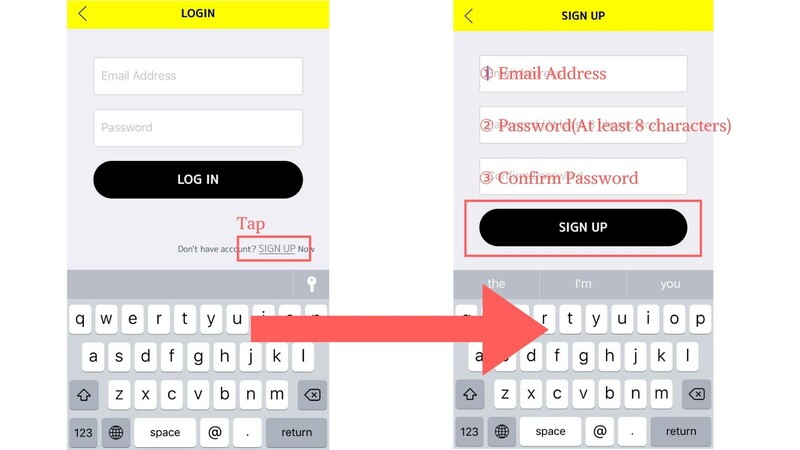 Leave the space blank and tap “SUBMIT”. ※If you have “Invitation Code” key in space. ※There is no discount with Invitation Code. Now, all the procedures are complete. ・ICOVO token OVO is not purchasable with legal tender. 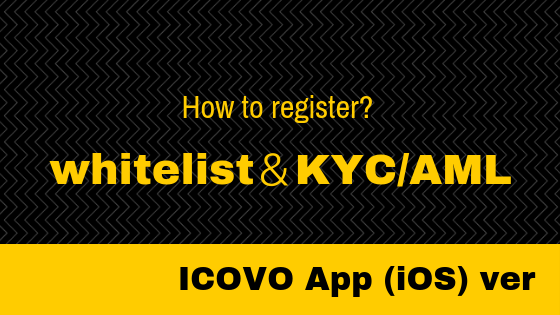 ・ICOVO Whitelist verification(KYC/AML) registration procedure is determined based on The Swiss Financial Market Supervisory Authority(FINMA)’s regulation from a perspective of safety and to prevent money laundering. ・Residents of countries that prohibit participation in ICO token sales cannot participate through our platform. If you have anything questions, feel free to contact us on Telegram. Check and follow our latest news at our official social media below. For other informations, check check us out at GitHub , BitcoinTalk , Reddit , and Discord.